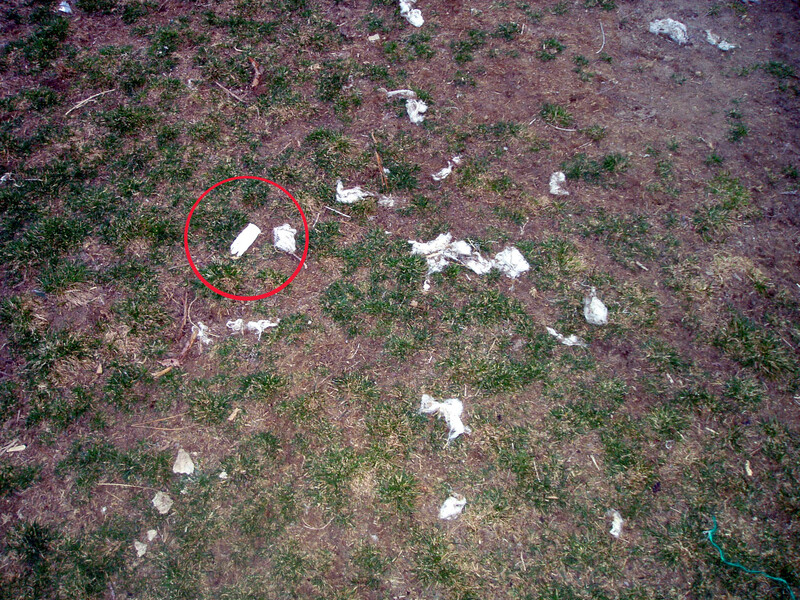 Know what's grosser than finding that your dog has chewed up a tampon and strewn the fluffy cotton contents all over your yard? Discovering, upon examination, that it is decidedly NOT your tampon. Eww.. But you know what they say.. once a pooch gets a taste of blood……. and they say dogs are so smart. hmmm…maybe we should re-evaluate that thought. and who is “they” ?? I’m curious now how you could tell it wasn’t your tampon. I don’t think I would recognize mine. It was a plastic applicator. I’ve only ever used cardboard. This is way too much information on sooooo many levels. I think that “don’t ask, don’t tell” applies in this situation. With all that info, I’ll just say happy Easter to all.